Applying for a provisional driving license is a vital step that allows you to learn the basics of driving. For UK citizens, it’s easy to apply for a driving license because there are no complicated requirements for one to successfully process. However, this does not imply you can just get the driving license approved easily. There are just few steps you will have to go through before the request is granted. Below is an outline that offers you guidelines to applying for a provisional driving license. To get the provisional driving license approved you need to satisfy several requirements. The first and most basic requirement is you must be a Great Britain resident. Remember this is not only available to first time applicants. But those who would like to upgrade their status can also apply for provisional driving license but on a different category. The other requirement you must satisfy is the minimum age required of applicants. You must have attained 16 years old, although you are allowed to send the application three months prior to your 16th birthday. Eye sight rules also matter when applying for the provisional driving license. If your eyesight is challenged, you must put on glasses when driving if they are necessary to aid you in your driving. Note that you are required to communicate any eyesight problems to DVLA (Driver and Vehicle Licensing Agency) that affects both eyes. In this communication, you do not need to say whether you are short or long sighted. You should also not include details about surgeries you had to correct your short sightedness. Basics standards of vision demand that you should be able to read a car plate number 20 meters away and your visual acuity should be at least 0.5 (6/12) as recorded on a Snellen scale. Once it is established that you have met all medical requirements, you should proceed to make payment by sending £34 electronically to DVLA. Don’t forget you need a valid passport to make the process a success. If you lack the passport, you can use a form of identity like a biometric residence permit or a valid certificate of naturalization. If known, do not hesitate to also state your National Insurance number and an address of your residence for the past three years. Once you attain 15 years and 9 months, you become eligible to apply for the provisional driving license. 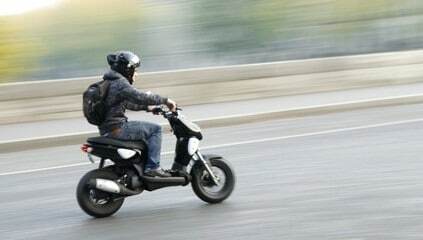 To ride a moped bikes, your minimum age while applying should be 16 years. After receiving your license, you will know when to start driving certain vehicles from the same document. You are only allowed to drive a car at 16 years if you had applied for the Personal Independence Payment (PIP). This facility also caters for certain costs that arise from long-term illness or disability for those aged between 16 and 64. You can be issued with an amount between £21.80 and £139.75 each week. This rate varies depending on the effect of the condition, and not the condition itself. Online application is the easiest and the most preferred method by many people. While applying online, you need to provide data that will be used to verify your eligibility for the issuance of the provisional driving license. Among data you should submit to the DVLA is your National Insurance number. You will receive an email confirmation and the system will invite you to take part in a survey. Note that you cannot opt out, so you will be required to fill every detail. Once everything is processed, details about collecting your provisional driving license will also be communicated through the same email you provided while applying.